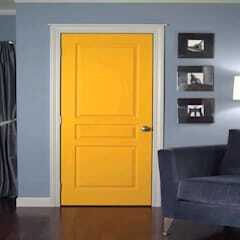 Why must I use wooden doors in my house? 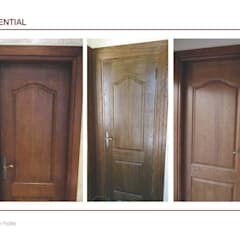 Although there’s no concrete rule stating that all South African houses must consist of wooden doors, they are the most common, in our country and overseas. In addition to providing protection and security, they do add to the overall aesthetics of a house’s appearance, both inside and outside. 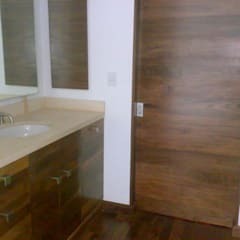 Remember that wood is a durable, functional and warm material, so it always gives a pleasant welcome to anyone who visits your home. 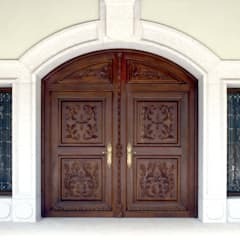 Here are some advantages and disadvantages of wooden doors. 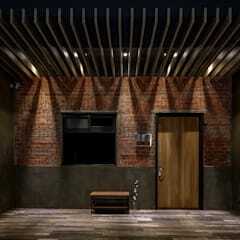 · Wood is a flexible material for handling, design and styling. 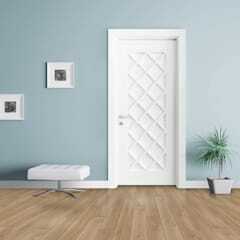 · It is elegant and very resistant. · It offers an image of warmth and beauty. · Aesthetically, it may look sophisticated or rustic, but always pleasant. · It's a rich natural insulation. · It is of low energy consumption: its handling can be mechanical. · Lends itself to a wide variety of finishes. 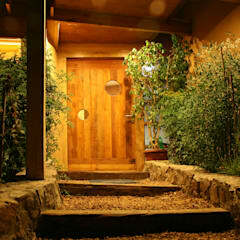 · The wood must receive a treatment against moisture and pests. 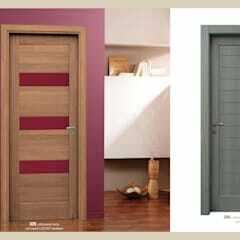 · Although some wooden drum doors can be economical, solid wood doors can become expensive depending on their structure and type of material. · Dyes or varnishes are expensive. 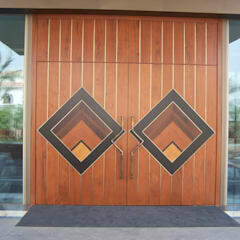 What types of wood are the best for doors? 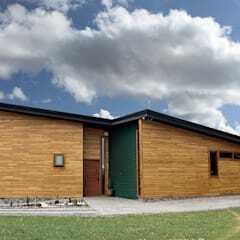 · Pine: The most economical wood, although not the most resistant. It can be managed in plates and gain strength. 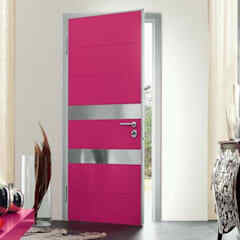 It is easy to work with, resistant to pests and can be finished with any ink or varnish colour. · Oak: A strong, hard and heavy wood that’s flexible to work with. 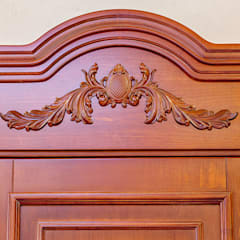 · Mahogany: A fine choice, as it provides an elegant finish, a dark brown tone, and is resistant to humidity. · Redwood: Soft and light, but with great resistance to deformations and climatic changes. Also requires little maintenance. 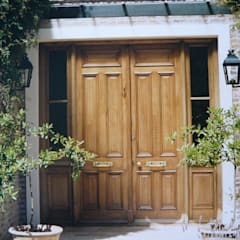 What are some important tips to make your wooden door safer? 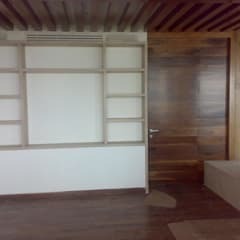 · First of all, always rely on professionals (carpenters, joiners, etc.) 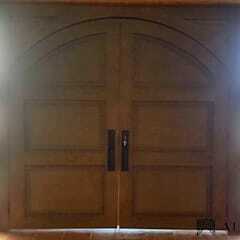 for the building and installing of your doors, especially exterior doors that allow access into your house. · Replace the deadbolt strike plate: The strike plate is the metal piece where the deadbolt latch secures into the door frame. A lot of strike plates are only capable of holding the door shut, not prevent the door from being opened during a forced entry. Installing or replacing a strike plate with a stronger box strike model with longer screws and a full metal enclosure for the latch to lock into will improve the door's ability to withstand a few full force kicks. 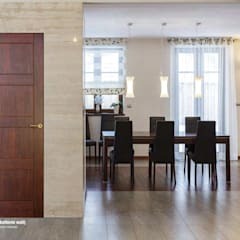 · Replace cheap hollow core doors with solid wood or metal doors: Hollow core doors should only be used for interior spaces, not exterior/front doors. 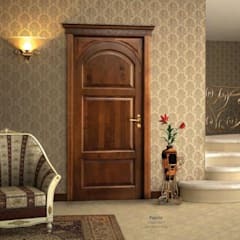 Solid wood doors are a bit more expensive, but much stronger than hollow core models. 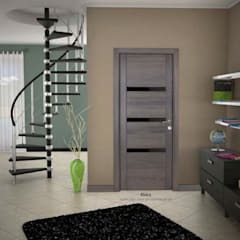 Pine doors are usually the most affordable of wood options, but hardwood is preferable. 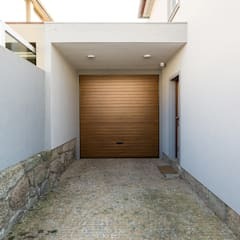 Steel doors are also a surprisingly affordable and more secure option, and also resist rot due to environmental surroundings (fibreglass offers better rust/rot protection, but can crack under impact, and is more expensive than steel). 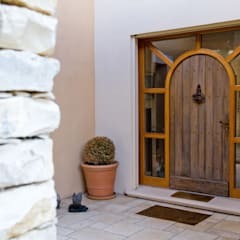 · Secure the door hinges if the door swings out and are exposed: If an experienced burglar notices a door swings outward, he may resort to attacking at the door's hinges. There are three methods to improve security at this vulnerable point: setting screws in the hinge, fast-riveted (crimped) pins, and safety studs. 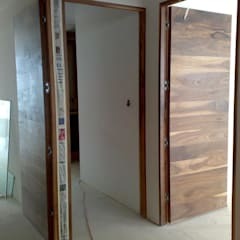 All three prevent the hinge pin from being removed and the door from being lifted up and off. 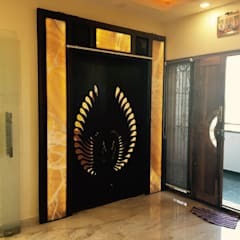 · Add a layer of conspicuous security and lighting: Making it clear that your front door is under surveillance with sufficient lighting can go a long way to securing your home and family. Adding a motion detecting LED light over a doorway is an affordable addition to a doorway (just remember to install it securely). 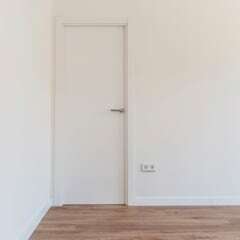 How do I care for a wooden door? First of all, the wood to be used must be cured or sealed against pests and humidity. 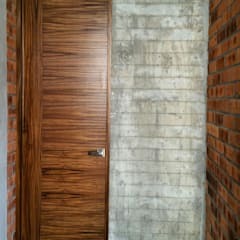 The seal you require depends on the type of wood and its porosity. In general, this consists of saturating the piece of moisture, injecting a chemical to open the pores and carry it to the maximum of resistance to finally seal them, effectively banishing any moisture. 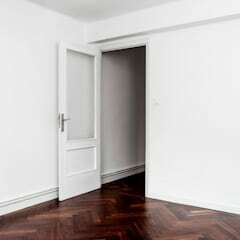 The occasional dusting and wiping (with a soft sponge moistened with warm water and liquid soap) should be enough to keep that wooden door neat and clean. To remove stains, use a made-for-wood cleaner, or a natural mixture of lemon juice and vegetable oil. Rub the surface well to remove the stain. Then spray oil or polish to moisturise the surface, and wipe with a dry cloth. Allow the wood to dry completely before touching it. It is important to also clean accessories such as hinges and keep them well oiled. Don’t forget to clean the handles and stained glass as well.